Cannes is a city on the picturesque French Riviera-Mediterranean coast in South-Eastern France. It is classified as a French commune which is an administrative division roughly equivalent to a municipality. The pride of Cannes in contemporary times has been the annual international film festival held in the city. Known as the Cannes Film Festival in English, it is regarded as the most prestigious film festival in the world. Competing at Cannes, let alone winning an award, is a feather in the cap for a filmmaker. The 68th annual Cannes film festival was held this year from 13 to 24 May. The highest prize awarded for a film at Cannes is the ‘Palme d’Or’ (Golden Palm). The Golden Palm this year was won by renowned French Film Director Jacques Audiard for his film ‘Dheepan’. The top honour at Cannes going to ‘Dheepan’ has aroused much interest in Sri Lanka as the film tells the tale of three Sri Lankan Tamil refugees. The travails and tribulations faced in France by the trio, notably the chief protagonist named Dheepan, forms the essence of the movie. The three main roles are played by Tamil actors of Sri Lankan and Indian origin. Though much of the film is set in France, over 85% of the words spoken in the film are in the Tamil language in the form of conversations by the trio and other Tamil characters in their mother tongue. The main role in the movie is that of Dheepan whose name is the title of the film. The film narrative begins with the end of the war in Sri Lanka. Survivors flee or try to flee. One such person whose nom de guerre in the militant movement (Liberation Tigers of Tamil Eelam) was ‘Sivadhasan’ cremates his fallen comrades at Mullivaaikkaal and burns his military fatigues. Subsequently as the story unfolds we learn that Sivadhasan is all alone, having lost his wife and child in the war. He dons civilian clothes and mingles with the displaced ordinary people seeking escape to a new life abroad. At the refugee camp, he gets the passport under the name Dheepan and feels he has a better chance of gaining acceptance as a refugee in a foreign country if there is a family. A “fake” family is cobbled together hastily. A law student who lost her parents in the war becomes the Dheepan’s wife Yalini. An orphaned child is found to play the part of nine-year-old daughter Ilaiyaal. The “pretender” family, comprising father, mother and daughter, who are totally unrelated to each other in actuality, begin travel by sea to France. In France they face an immigration inquiry with an implausible story about their past. The friendly Tamil interpreter “changes” their version into a believable one to convince the authorities. The Dheepan “family” is granted temporary visas and relocated to a large housing block in Le Pre-Saint-Gervais in the north eastern suburbs of Paris where a recently abandoned flat is given to them as their new home. After peddling novelty items like flashing rabbit ears on the streets of Paris for economic survival, “husband” Dheepan gets a job as resident caretaker. “Wife” Yalini works as a home-health aide for an ailing senior citizen named Habib who is suffering from Dementia. “Daughter” Ilaiyaal is enrolled at a special needs school and begins learning French. Internally there is rippling tension within this counterfeit family as it tries adjusting to existential reality. Being complete strangers, they find it increasingly difficult to pose as family and genuinely relate to each other. The orphaned child Ilaiyaal has problems at school as an immigrant kid. She misses the love of her dead parents and cannot find it in her “new” father and mother. The woman Yalini does not like French life and yearns to join her cousin in England. She finds herself unable to cope with her new avatars of wife and mother. Dheepan who lost his real wife and child in the war is also finding it problematic to adapt to his “adopted” synthetic wife and daughter. Externally there are the problems faced by an immigrant family in an alien often hostile environment. A gang of dope sellers invade the housing complex and takes over a block where Yalini goes to work. A former “Colonel” in the LTTE accosts Dheepan and exerts pressure. While Dheepan and Yalini are compelled to enact a parental role to Ilaiyaal, Dheepan begins to “thaw” in the case of Yalini. She however is somewhat fascinated by the bigwig of the drug gang Brahim. This in turn arouses quiet resentment in Dheepan, who now is beginning to feel he must protect his “family”. Dheepan draws a white line around his residence and declares a “no fire zone” in that area. Mounting tension however explodes with gang strife erupting. Dheepan is forced to resort to violence to protect his family and himself. He fights the gang by returning to his past and using the combat techniques he learnt as a “guerrilla”. After engaging in “screen vigilantism” of the Charles Bronson variety, Dheepan along with Yalini and Ilaiyaal leaves France for Britain. In a departure from earlier times when none had genuine feelings for each other, the trio has now drawn closer and share a new intimacy among themselves. The film which began with tragedy and sorrow ends on a note of blossoming love and hopeful optimism. 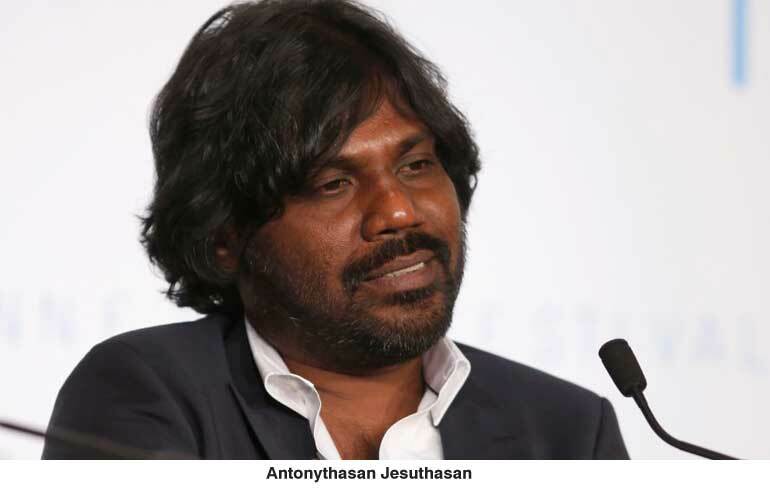 The chief role of Dheepan is played by Antonythasan Jesuthasan, a 47-year-old Sri Lankan Tamil who now lives in Paris. 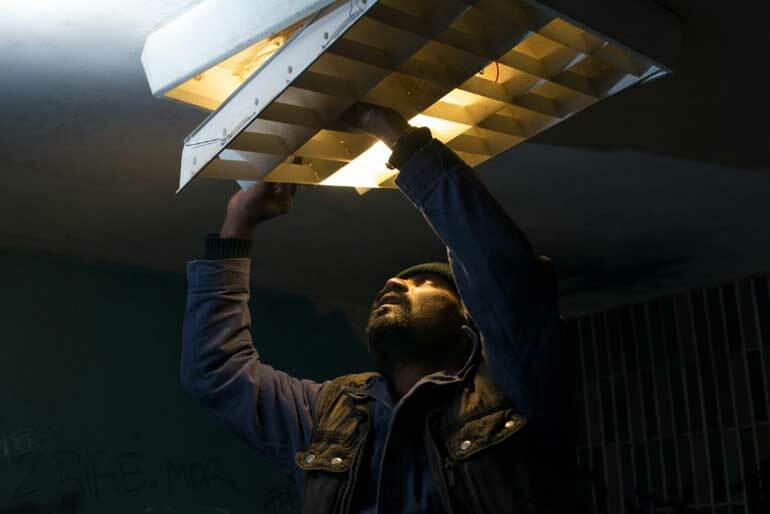 In what is perhaps an interesting example of life imitating art, Antonythasan himself – like Dheepan – is a former Tamil militant turned refugee in France. He told the press at Cannes that the story of Dheepan resembled about 50% of his real life. Unlike Dheepan in the film, Anthonythasan in real life is currently a reputed writer in Tamil. He writes under the nom de plume “Shobasakthi”. He denounces war and violence and is severely critical of the Sri Lankan State as well as the Liberation Tigers of Tamil Eelam (LTTE). Anthonythasan Jesuthasan known famously now as Shobasakthi hails from the northern island of Allapiddy. Born in 1967, he joined the LTTE as a “helper” after the 1983 July anti-Tamil pogrom. He was a 16-year-old schoolboy at the time. He became a full-timer in 1984 and received local training. He was called “Thasan” and “Buckle” in the LTTE. Anthonythasan was more inclined towards the arts and the LTTE utilised his talents accordingly. He acted in the popular street drama produced by the LTTE in 1985 called ‘Yuddhakkaali’ or ‘War Kali’. Anthonythasan became increasingly disillusioned with war and the LTTE and quit the tigers in December 1986. After undergoing the customary punishment meted out by the LTTE for leaving the movement, he moved to Colombo when the Indo-Lanka Accord was signed in July 1987. War however soon broke out between the LTTE and the Indian Army. Anthonythasan was arrested as a “Tiger” in Colombo and detained. He was released after the LTTE began talks with former President Ranasinghe Premadasa. He then fled Sri Lanka to Thailand and was registered as a refugee in Bangkok by the UNHCR. After repeated attempts to reach Canada or Britain, he ended up in France as a refugee claimant. He did a number of jobs in France ranging from dishwasher to street peddler in Paris. Anthonythasan also began writing in Tamil using the pseudonym Shobasakthi. He has written several short stories and novels drawing heavily on his personal experiences of growing up in Allaipiddy, as a LTTE cadre and as a refugee in France. Shobasakthi dubs his work as ‘Autofiction’. Much of Shobasakthi’s writings display an impish sense of dark humour. His creative writing as well as other essays and interviews have been strongly critical of the LTTE and the Sri Lankan State. This has stirred up huge controversies in the Tamil literary realm. Two of his novels –‘Gorilla’ and ‘Traitor’ – have been translated into English by the US-based Indian academic Prof. Anushiya Ramaswamy. Shobasakthi has also acted in and co-written the script of the Tamil film ‘Senkadal’ (Crimson Sea)directed by Leena Manimekalai. The character Yalini is a Sri Lankan woman but in the film it is played by a Tamil actress from India, Kalieaswari Sreenivasan. She is essentially a drama artiste and ‘Dheepan’ is her debut in a feature film. Kalieaswari is the daughter of a retired military officer. Though her native place is Sathurangapattinam near Kanchipuram, Kalieaswari grew up in the Tamil Nadu capital of Chennai schooling at a convent. She acts in offbeat dramas and street theatre and also teaches drama in schools. Kalieaswari, who has acted in two short films including ‘Kuttram Kadidhal,’ got married a few weeks ago to actor P. Vinod who played the villain ‘Maari’ in the much acclaimed film ‘Madras’. 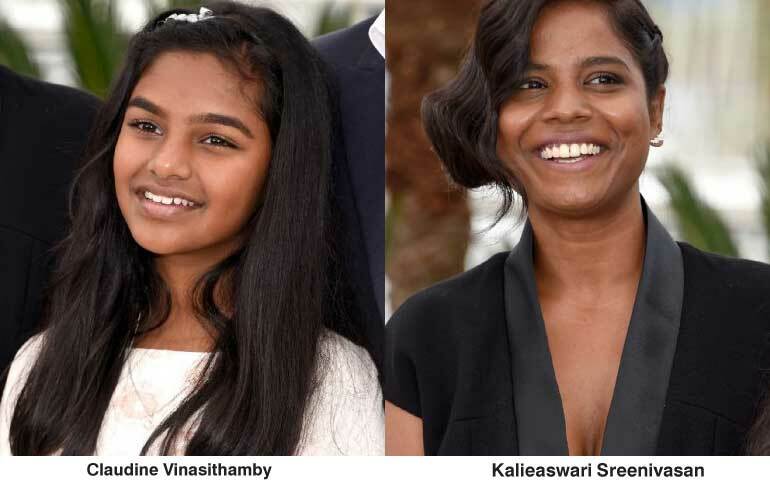 The role of the nine-year-old daughter Ilaiyaal is played by 10-year-old Claudine Vinasithamby who is a student in Paris. Her parents are both Sri Lankan Tamils. Her father is a Hindu from Kaithaddy in the Thenmaratchy sector of Jaffna. Her mother is a Catholic from Karaveddy in the Vadamaratchy sector of Jaffna. Interestingly enough, young Claudine’s pet name at home is Ilaiyaal, her screen name in ‘Dheepan’. Ilaiyaal means young woman or girl. How these three were chosen by Director Jacques Audiard to act in the film is by itself an interesting account. Jacques Audiard along with his Casting Directors Philippe Elkoubi and Mohamed Belhamar first began auditions for actors within the Sri Lankan diaspora in France. Later they conducted auditions in London and the Indian cities of Chennai and Bengalooru. Over 2,000 potential actors were auditioned before this trio was selected. The ‘Kollywood’ grapevine has it that even prominent Tamil Nadu actors like Dhanush, Vijay Sethupathy and Pasupathy were considered before it was decided that comparative newcomers should be picked. The name of Anthonythasan Jesuthasan alias Shobasakthi for the role of Dheepan was suggested to Casting Director Philippe Elkoubi by dramatist and theatre personality Kumaran Valluvan from Puducheri (Pondycherry) in India. Valluvan was a friend of both Philippe and Shobasakthi. The Directors then returned to Paris and interviewed Anthonythasan who was found to be most suitable. Later Audiard was to say in an interview that he was sure that he had found the right guy for Dheepan as soon as he saw Anthonythasan walking and talking. He also described his discovery of Anthonythasan as being with “the help of God”. Kalieaswari Sreenivasan who plays Yalini was picked after an audition in Chennai. It was the same Drama Director Kumaran Valluvan who had recommended Shobasakthi for the Dheepan role who had suggested that Kalieaswari should try out for the role. Another artiste Seema had also told her of the audition. Though not a Sri Lankan woman, Kalieaswary was selected. Claudine Vinasithamby was selected as Ilaiyaal after an audition in Paris. After being selected, the actors had to undergo “preparatory” training for a month in Paris. Kalieaswari had to “learn” the distinctive pronunciation of Sri Lankan Tamils. Anthonythasan was most helpful in this regard. She acquired the correct Sri Lankan Tamil accent and diction and acts her part convincingly as an “authentic” Sri Lankan Tamil woman. Young Claudine who grew up in France also acts her part as Ilaiyaal well. Her pronunciation of Tamil also sounds natural like a child who grew up in the Sri Lankan north as opposed to a kid growing up in Paris with an “Europeanised” Tamil accent. Though Anthonythasan alias Shobasakthi had nothing to do with the film’s screenplay, he did help translate the dialogues originally written in French into Tamil for the film. It is noteworthy that when Anthonythasan was selected initially, the Director was not aware of his LTTE past or literary abilities. He was picked only as an actor. It was later that a delighted Director discovered his background. Subsequently when the film was being made Anthonythasan’s personal history and writing skills came in handy for director Jacques Audiard who utilised him “unofficially” as a resource person. The conversations in the film are in Tamil, French and English with Tamil amounting to about 80% to 90% of the words spoken. The original script was a joint effort co-written by the Director Jacques Audiard along with his “regular” Thomas Bidegain and Noe Debre. Apart from the major roles of Dheepan, Yalini and Ilaiyaal, there are several minor “Tamil” roles too in the film. One such role is that of the “Ex-Tiger Col” who exerts pressure on Dheepan in Paris. This part is played by Vasanth, a theatre artiste from Tamil Nadu. Then there is the role of the Tamil interpreter who helps the trio gain acceptance in France by “altering” their story into a convincing version acceptable to the authorities. This role is played by Eelanathan, a Sri Lankan Tamil living in France. Likewise, several other “bit” roles are also acted by Sri Lankan Tamil residents of France such as “Oasai” Mano, “Manmadhan” Bhaaski, “Uncle” Sree, “Police” Arunagiri, Satha, Pranavan, Kesavan, “Velanai” Prabha and Sudhaa. All of them act as Tamil refugees living in France. A few other Sri Lankan Tamils from France have been involved in the film production too. Vipin who is knowledgeable in Information Technology worked as a technician in the film’s post-production. Praveena, a Tamil girl in Paris, worked as a casting assistant. Another Parisian Tamil woman, Oavia Ilankovan, worked in the Editing section. Oavia incidentally is the niece of Colombo University Law Faculty Dean Prof. V.T. Thamilmaran. Among the non-Tamil roles, the performances of only two actors are somewhat remarkable. One is that of Brahim played by French actor Vincent Rottiers. The 29-year-old Rottiers has acted in more than 30 films in a film career that commenced in 2002. Rottiers plays the head of the violent gang for whom Yalini played by Kalieaswari has a quiet infatuation. The other role is that of Youssef played by 31-year-old Marc Zinga. Youssef is the community liaison officer who guides the Sri Lankan Tamil newcomers in Paris and finds them housing. Zinga is a Belgian actor of Congolese decent. Apart from the actor newcomers, there are two notable “freshers” to feature films in the music and camera spheres. American-Chilean musician Nicolas Jaar has composed the background music and sound tracks for ‘Dheepan’. The cinematographer is Eponine Momenceau. She has had no feature film experience prior to ‘Dheepan,’ having done only short films and documentaries. Editing for ‘Dheepan’ is by an Audiard “old faithful” Juliette Welfling, who was nominated for an Oscar in 2007. She has won four Cesar awards editing Audiard’s films. ‘Dheepan’ is scheduled for international release on 26 August this year. The film is produced by Pascal Caucheteux for Why Not Productions in France. The shooting for ‘Dheepan’ began in 2014 and continued this year. Originally it was intended to shoot some scenes in Sri Lanka. After a visit to Sri Lanka last year, the filmmakers decided that given the political climate prevailing then, it would have been risky to shoot in the island. So the film crew began shooting at Rameshwaram in southern Tamil Nadu where the biggest camp for Sri Lankan Tamil refugees is located at Mandapam. Many Tamil movies dealing with the Sri Lankan Tamil issue like ‘Senkadal,’ ‘Kannathil Muthamittaal,’ ‘Kaatrukkena Vaeli,’ ‘Rameswaram,’ etc., have been filmed in Mandapam – Rameshwaram. In the case of ‘Dheepan,’ a partnership was struck with Wide Angle Creations in Chennai. The company is run by Suresh Balaji and George Pius. Suresh incidentally is the son of actor turned producer K. Balaji and a cousin of Malayalam superstar Mohanlal. Suresh’s father Balaji shot much of his film ‘Thee’ in Sri Lanka in 1980. The film with Rajnikanth had Sri Lankan beauty queen Tamara Subramaniam pairing with the Tamil super star actor. Wide Angles erected a huge refugee camp set in Mandapam and arranged for numerous extras to act as refugees. Most of these extras were Sri Lankan Tamil refugees themselves. Mullivaaikkaal was also re-created in Rameshwaram. The company also provided technical crew for the film. The shooting was done for about seven to eight days in December 2016 and January 2015 in India. Some scenes were shot in the highlands of Udhagamandalam known as Ooty. The well-known hill station Ooty like Nuwara Eliya in Sri Lanka with its colonial heritage is a ‘Little England’ in many ways. The producers of ‘Dheepan’ used Ooty with its quaint old English type residences to depict Britain itself. The bulk of the filming for ‘Dheepan’ was done in Paris and suburban Paris. Shooting in France was held in stages for 60 days. In addition there was shooting in India for about 10 days and in the UK for about three days. Post-production work after shooting was completed had to be hurried so that the film could be entered for the Cannes Film Festival. Discerning film reviewers observed a certain roughness instead of the usual polish in an Audiard film due to this post-production hurry. The Golden Palm however has made that frenzied hurry extremely worthwhile. The Jury that determined the winner at Cannes was chaired by American filmmaker brothers Ethal and Joel Coen. Apart from the Coen brothers, the other members of the Jury were Spanish actress Rossy de Palma, French actress and Sophie Marceau, English actress Sienna Miller, musician from Mali Rokia Traore, Mexican Film Director Gullermo del Toro, Canadian actor and Director Xavier Dolan and US actor Jake Gyllenhaal. “‘Dheepan’ is real cinema and we feel deeply concerned by what’s happening in the Mediterranean,”Rossy said. 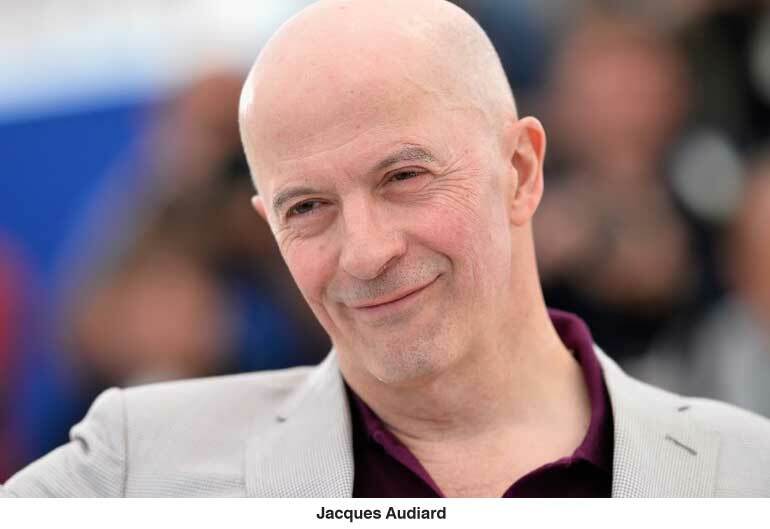 Media reports said that Jacques Audiard sprang to the podium at the Palais des Festivals in Cannes and accepted the award with warm gratitude, bowing to the Jury. He was joined by the makeshift parents of his film – Kalieaswari Srinivasan and Anthonythasan Jesuthasan. “To receive a prize from the Coen brothers is exceptional,” said Audiard, who added that only receiving one from the Luc and Jean-Pierre Dardenne, the Belgian filmmaking siblings, could equal it. Jacques Audiard, who describes himself as a “cynical romantic,” is a well-known name in France. He is regarded as a “cool icon of French cinema” along with the likes of Jean-Pierre Melville, Jean-Luc Godard, Luc Besson and Mathieu Kassovitz. The 63-year-old Film Director and Screenwriter is the son of Michel Audiard, who was also a famous French Film Director and Writer. Jacques Audiard, who was born in Paris in 1952, began his career by training as a Film Editor. He then became a Film Script Writer at the age of 22. His first film as a Writer was ‘Bons baisers.....a lundi’ (Kisses Till Monday) released in 1974. After writing screenplay and scripts for many films, Audiard turned to directing two decades later. Audiard’s first film as Director was ‘Regarde les homes tomber’ (See How They Fall) in 1994. It won a Cesar Award in France for Best First Film for a Director. The Cesar Awards are the highest national awards for films in France and regarded as the French equivalent of the Oscars in USA. Two years later in 1996 Audiard co-wrote and directed ‘Un heros tres discret’ (A Self-Made Hero). Audiard won the award for Best Screenplay with Alain Le Henry at Cannes that year. He was also nominated for Best Director Award at Cannes for the same film but failed to win. The third feature film by Jacques Audiard was ‘Sur mes Levres’ (Read My Lips) made in 2001. The film won a Cesar Award in Writing for Audiard and co-writer Torino Benacquista. Audiard also got an award for directing when the film was screened at the Newport Film Festival in the USA. His next film ‘De battre mon Coeur s’est arête’ (The Beat That My Heart Skipped) made in 2005 won two Cesar awards for Audiard in addition to several others for other artistes in the film. Audiard got the Cesar Award for Directing and another for Best Adapted Screenplay which he shared with Torino Benaquista. The film also won a BAFTA award in Britain for the best film not in the English language. ‘Un prophete’ (A Prophet) was released in 2009. It was regarded as the best film made by Audiard until ‘Dheepan’. Jacques co-wrote the script with Thomas Bidegain, Abdel Raouf Dafri and Nicolas Peufaillit. The film was nominated for a record 13 Cesar awards in 2010 and won nine including Best Film and Best Director. ‘A Prophet’ also won a ‘Grand Prix’ at the Cannes Festival. The Grand Prix Jury award is regarded as one for the runner-up in the best feature film category. The film was also nominated as one of the five best foreign language films at the Oscar Academy awards. ‘A Prophet’ also won the British Film Academy’s BAFTA Award for Best Film not in the English Language. Jacques Audiard made ‘De rouille et d’os’ (Rust and Bone) in 2012. The film was nominated in various categories for many awards both nationally and internationally. It won many awards including one Cesar Award for Audiard and Bidegain for Best Adapted Screenplay. The film and Director were nominated for Cannes but Audiard did not win any. The star of the film was actress Marion Cotillard who acted as a woman trainer of killer whales. Her amazing performance in the film resulted in her being showered with accolades and awards. Three years after ‘Rust and Bone,’ Audiard made his seventh feature film, ‘Dheepan,’ which has won for the French Director his first ‘Palme d’Or’ at Cannes.